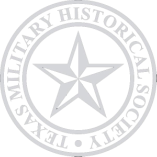 Welcome to the Texas Military Historical Society. Our goal is to provide both new and seasoned reenactors with a place to call home. Please check our Schedule for the latest events happening in your area, or Join Up to pay your dues and get involved! Looking to start an impression? Go to our Units page to get plugged in to a local group that portrays the side of history you are interested in. TMHS Bylaws, Operating Rules, and Safety Rules have been added to the website. Go to the Bylaws tab and look at the drop down menu to view them. We've got a new website! We are working hard to update all the pages and get all the content uploaded, but it might take some time, so please be patient and keep checking back from time to time to see what's new. The schedule should be online within a day or two. If you have any questions please Contact Us. Thanks!